A Washington Department of Corrections worker demoted over the early release of prisoners is seeking damages against the state — and he wants his old job back. OLYMPIA — In a claim that describes him as a “scapegoat” unfairly demoted over Washington’s mistaken early release of prisoners, a corrections worker is seeking damages against the state. David Dunnington was one of several state workers who either resigned or were demoted after the revelation that a sentence-calculating error had for years freed some Washington prisoners early. Despite being notified of the problem in late 2012, the state Department of Corrections (DOC) took years to get it fixed. In a February report, investigators commissioned by Gov. Jay Inslee cited Dunnington and six other state employees as contributing to the delay in fixing the miscalculations. Dunnington, 53, who had been an IT business manager with DOC, was later demoted to an information-technology specialist. Filed on Nov. 7, Dunnington’s claim names DOC and Inslee’s office, and seeks damages for lost wages, including future pay. Those damages could “could easily total hundreds of thousands of dollars,” Scott Kee, Dunnington’s attorney, wrote in a letter accompanying the claim. 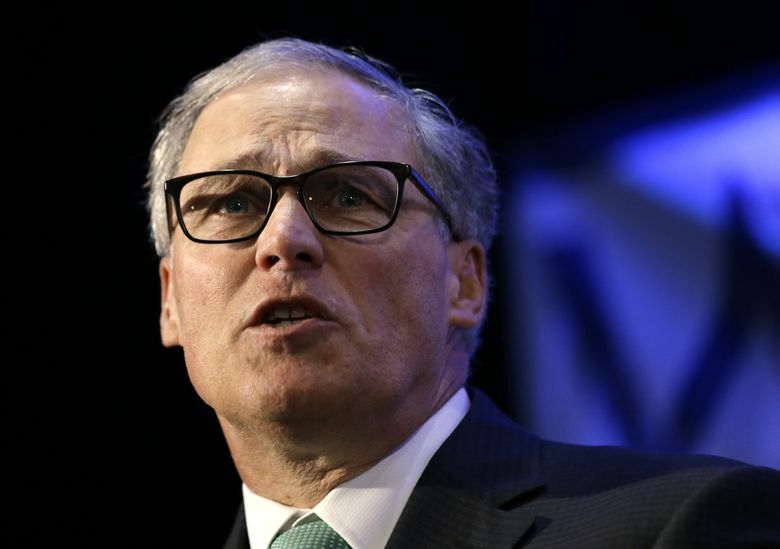 Inslee “named my client as the scapegoat in a news conference on February 25, 2016, likely knowing his statements were not supported by the record,” Kee wrote. Citing the open claim, officials with DOC and the governor’s office declined to comment. Dunnington is also appealing his demotion to the state Personnel Resources Board, which is scheduled to take up the matter in late January. The miscalculation of prison sentences released as many as 2,700 prisoners early between 2002 and 2015, according to DOC estimates. Two people were killed in 2015 by offenders who should still have been in prison, according to officials. In 2012, the concerned family of a crime victim alerted DOC to the problem. But the agency — on the advice of an assistant attorney general — decided against manually checking records to make sure prisoners were serving their full sentences. In the meantime, a software-programming fix for the miscalculations was delayed 16 times — and was not made until early 2016, after the issue became public. Dunnington “bore primary responsibility for repeatedly delaying the IT group from fixing the early release problem,” according to the governor’s report. And Dunnington “clearly understood” that DOC’s database was miscalculating release dates for certain offenders, the report added. Ultimately, four state workers resigned, Dunnington and another worker were demoted, and two others received letters of reprimand. A separate investigation led by a pair of Republican state senators reached a different conclusion than Inslee’s report. The GOP investigation instead laid the majority of blame with former Corrections Secretary Bernie Warner, who held DOC’s top job between July 2011 and October 2015. Filed along with Dunnington’s claim are hundreds of pages of supporting documents that include hearing transcripts and other materials from the GOP Senate investigation. The claim also includes a sworn declaration by former DOC Secretary Dan Pacholke, calling for Dunnington to get his old job back — with back pay. Pacholke, who was promoted to secretary in 2015, shortly before the long-running problem was made public, stepped down in February. Pacholke in the declaration also said he thought it was “highly unusual” that David Postman, Inslee’s chief of staff, was present at a meeting where Dunnington was given an opportunity to clear his name. That meeting took place hours before the governor released his investigation report, according to Kee’s letter. “Typically, these hearings do not include personnel from outside the agency unless they are representing the interest of the employee,” Pacholke, who also attended the meeting, wrote in his declaration. In an interview Thursday, Pacholke said Dunnington was “way too far down the chain of command” to be held responsible for delays in fixing the problem. The state Office of Risk Management is reviewing Dunnington’s claim, according to Linda Kent, a spokeswoman for the state Department of Enterprise Services. If no settlement is reached, Dunnington could move forward with a lawsuit.